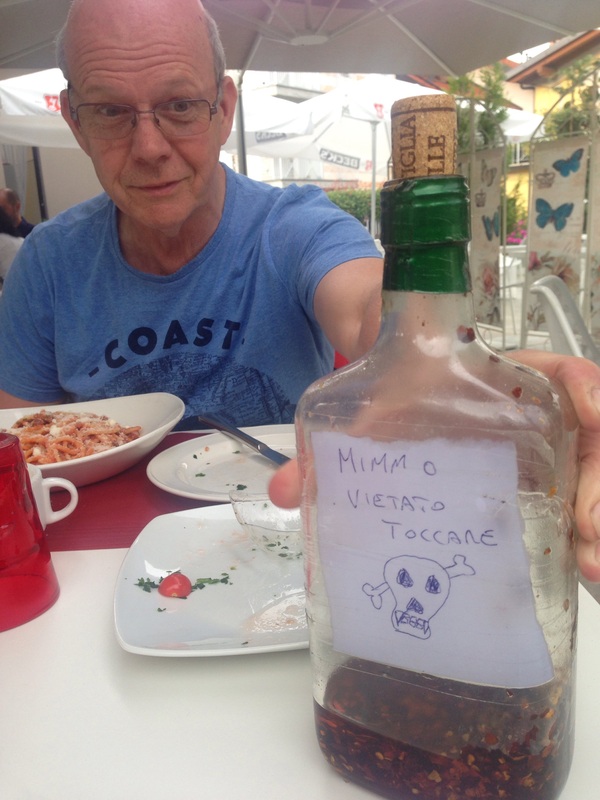 This is a home made bottle of chilli in oil. Check the label! 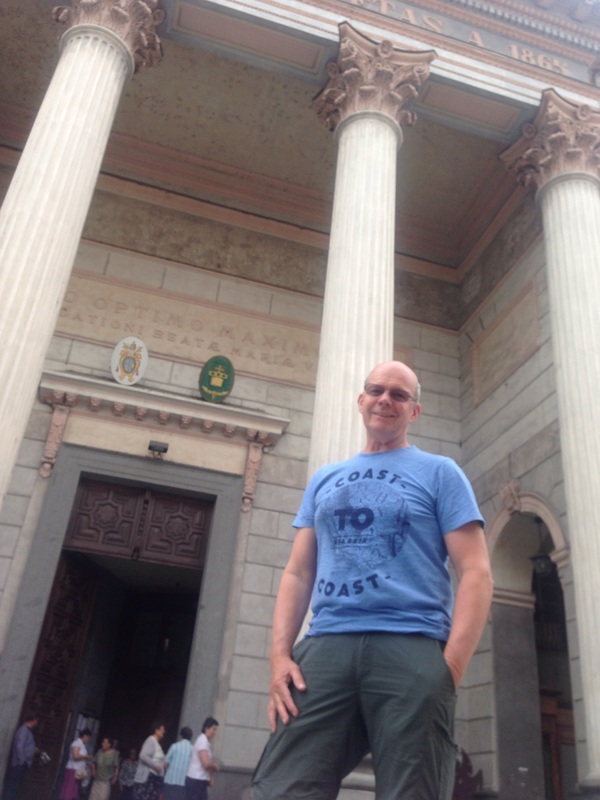 They make their pillons big in Italy! The ride today was from Menton, France to Cuneo, Italy. We got off to a reasonably early start 08:50hrs after packing up camp. On the way we passed through Monaco managing to ride most of the track. We met a captain of one of those motor launches (34m) and he explained a few facts about owner inc a vessel like those you see by the dozen along the riviera. So a typical vessel of this size will cost between 10 ~ 15m€, parking costs approx 1,000€ (plus a bag of cash) per day in Monaco and 8,000€ at Capri. Fuel usage is 600litres per hour and up to 10,000 with diesel costing a 1€ per litre. So there you go, if you are thinking of buying a boat for your summer you have a rough idea of the costs! Cuneo is a lovely regional town and we had the best camp site yet with excellent facilities which made a big difference. In making our way to Cuneo we actual crossed over the boarder between France and Italy 3 times weaving through the mountain passes. 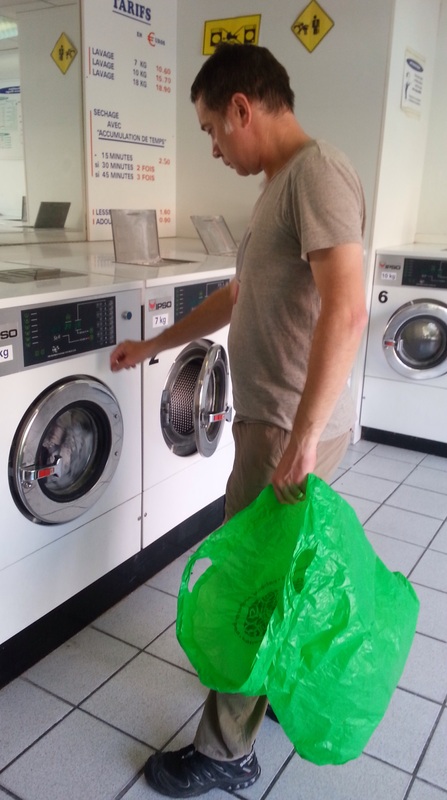 David looking some what bewildered by having to use a French washing machine. Today was a rest day, giving us the opportunity to do our washing and tend to a few house keeping items. Steve and I wondered the streets of Menton looking for the laundrette (not so romantic that bit) and took the opportunity to stop for a coffee and a bite to eat. Our first statistics for our Mad Ride; over the first week of riding we have covered 1,863km. The bikes are averaging around 5.5L/100km which means we can get around 550km between stops which is not bad for something as un aerodynamic as our bikes, weighing in at around 290kg without the rider. Tomorrow it is off to to a lap of the Monaco GP circuit and then head up towards Turin, Italy. Relaxing after a day on the road and celebrating the end of our first week on the road. Today marked the end of the first week on our Mad Ride. 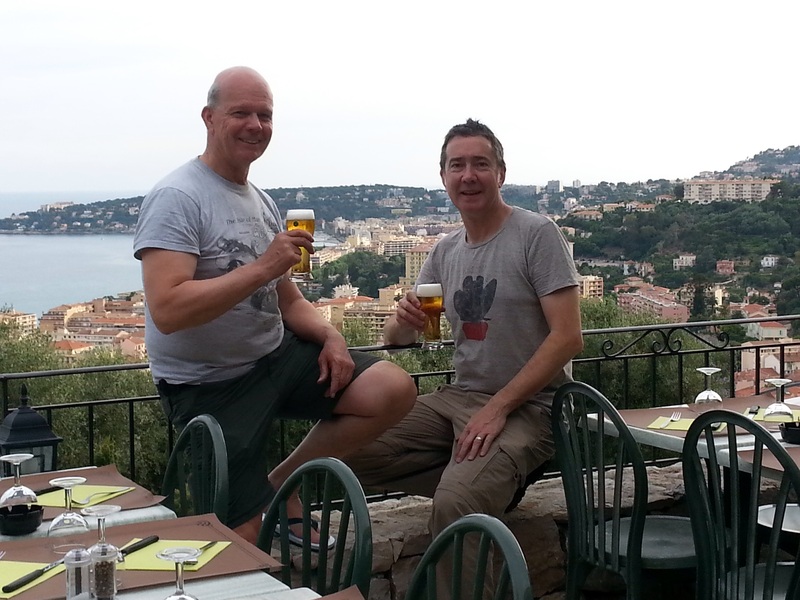 We are pleased to have had a trouble free ride through to Menton, on the riviera today. 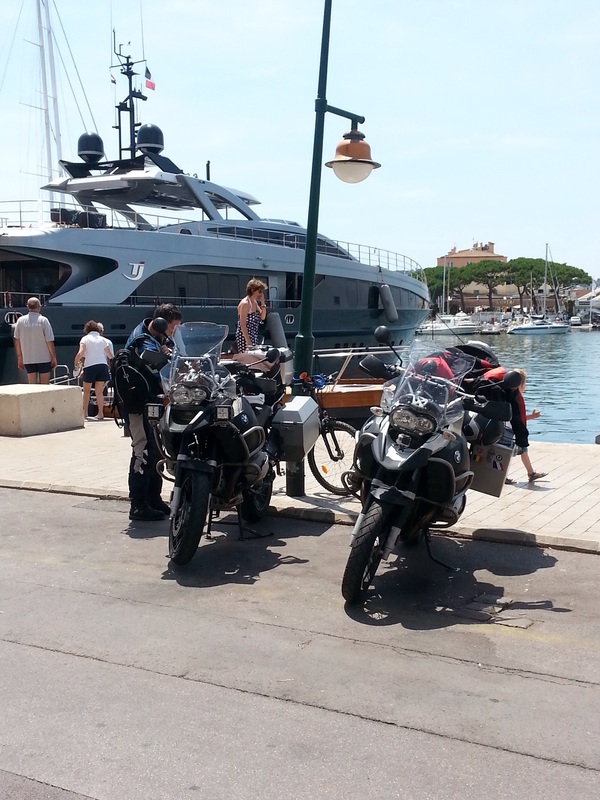 Stopped off at Saint Tropez for a nice cool drink along side the Very impressive motor launches that were docked. They like their boats on the Riviera! See our bikes aren’t that big (compared to the boat). We are now camping and will have a rest day tomorrow as we have washing to do along with a ensuring the simple, but important things like tyre pressures and oils are checked on the bikes. We finished the evening off at a great local restaurant. One thing we have found is how easy a beer goes down after the end of a day’s ride in 30 plus deg temps! After getting back on track this morning after yesterday’s mix up we headed off to Aix En Provance for lunch. We both feel we must have missed the good bits after hearing so many positive stories about this town. The down side of being on a bike is having to walk wearing heavy bike gear, especially when temps are around 30degC. This limits your exlporing at times. After lunch we made our way to Marseille for a well earn cold drink along side the harbour. Marseille is a large shipping town and also heavily catering to tourists. Weather was was perfect again however the Mitral wind was still blowing hard till later in the day making the riding harder going. 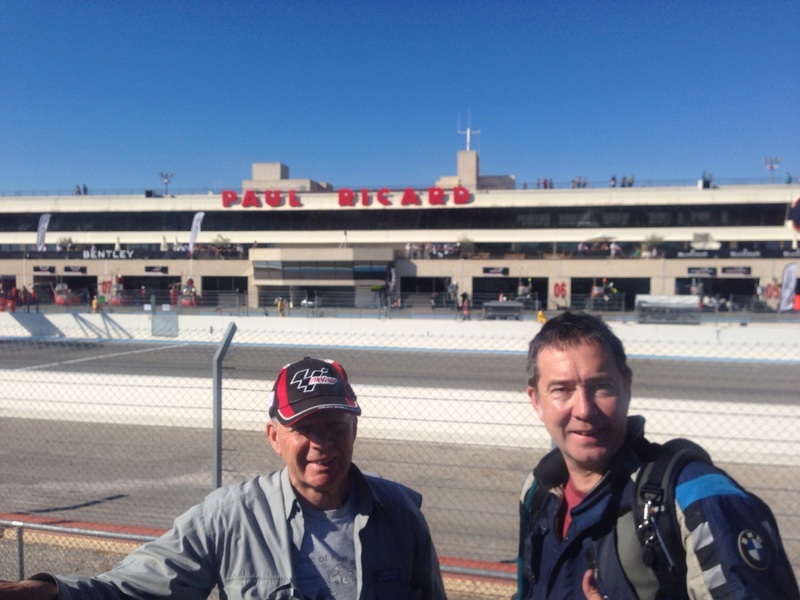 As we approached our destination for the day (Toulon) we came across the famous (well to petrol heads) Paul Richard race circuit. It was an opportunity not to be missed as the roar of engines sucked us in. As we approached the entry we got talking to an official to promptly ushered us through the gates and allowed us grand stand seats when he we explained about our Mad Ride. A bit of self promotion does help at times! After finally making Toulon we found a simple hotel and ate out at a wonderful local place called Pizzaria Taormina for a well earned beer and Pizza. Another great day on A Mad Ride!